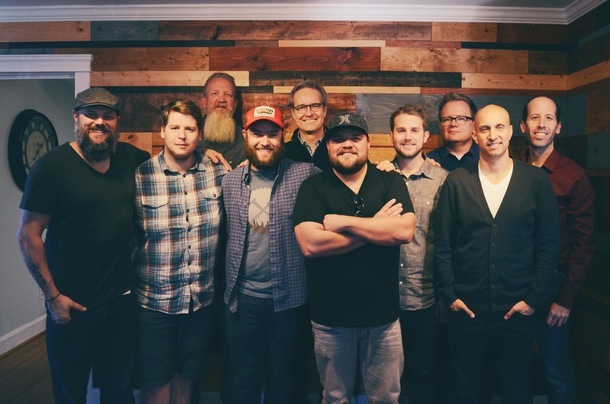 Centricity Music has announced the signing of veteran group, JJ Weeks Band. The group’s debut full-length album is being produced by Jonathan Smith (Tim Timmons, Mia Fieldes) and will release early April 2016, with the first single going for adds at radio in February. The Macon, GA based band is comprised of lead singer/songwriter JJ Weeks, bassist David Hart, drummer Jon Poole and guitarist Cody Preston. “It is always a humbling experience and an honor to write and choose the right songs for a new record. Our prayer is to have songs that will touch the listener and give them hope in a tough situation, or celebrate with the people who are on the mountaintop,” explains Weeks. “We're excited to be part of such a great team like Centricity and thankful for the support they have given through the process already. We can't wait for everyone to hear the new album!" JJ Weeks Band has been performing together for 12 years and has released five independent albums. The sixth project, All Over The World, was the first national label record that released in 2013, and the second single, “Let Them See You,” ranked No. 9 on the 2014 Billboard Hot Christian Songs chart and remained on Billboard’s National Audience Chart for 29 weeks. The seasoned musicians have built a loyal following of fans by touring over 120 dates a year across the country and has toured with Winter Jam Spectacular, MercyMe, Unspoken, among many others. At the same time, the band has been able to branch out with its music being featured in the major motion picture, God’s Not Dead. The bridge from the song “Screaming Outloud” was used in the movie, and the tune “Save Us” was featured on the God’s Not Dead soundtrack.